It is easy to either forget your passphrase or lose access to your 2-factor authentication codes. 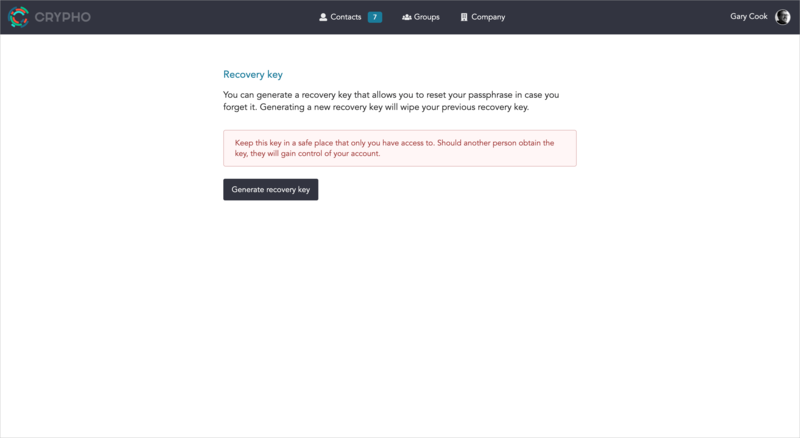 To regain access to your account without losing your existing content and contacts, you can use a recovery key. The key must be generated up front. Lost access to your phone number for two-factor authentication codes. Yours will have different words, of course. 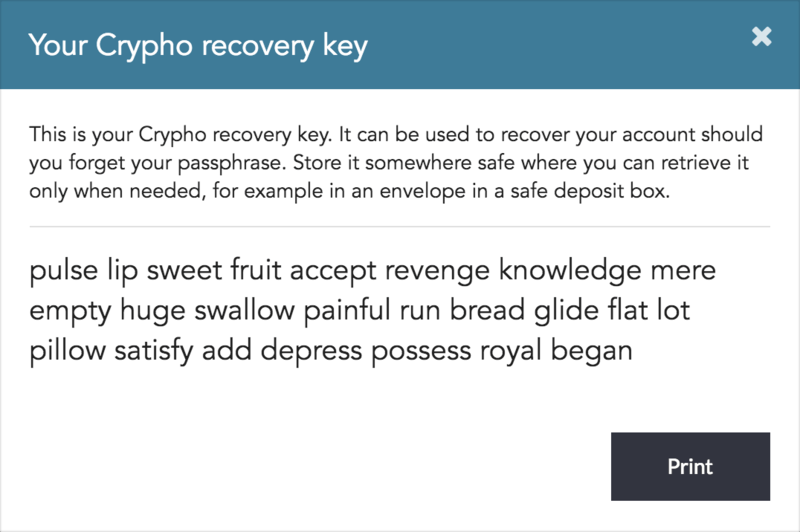 You can create a recovery key by selecting Verification in the Settings section in the Crypho desktop or web apps. It is not possible to create recovery keys from the mobile app. It is only possible to have one recovery key available at any time. Creating a new recovery key instantly invalidates all previously generated recovery keys. The new recovery key will only be shown to you once. There is no way to access it again. We recommend that you write it down or print it on paper. Store your key in a safe place, for example in an envelope in a safe or bank deposit box. Do not store it digitally. And make sure no one else gets access to it. Should you forget your passphrase or lose your two-factor authentication mechanism in the future, you will then be able to use this key to recover your account. If you do not have a recovery key, you will lose access to your chat history if you reset your passphrase.